What we learned from this past weekend’s Test matches involving the Boks, All Blacks and Wallabies, according to CRAIG LEWIS. England will retreat back to their Durban base at the beginning of this week with their tails between their legs. Once again on Saturday, the English looked to disrupt the Boks with a confrontational approach, which ultimately backfired. With a vociferous Bloemfontein crowd getting right behind the Springboks, the home side fronted up physically, with the ferocity of their ball carries and defence making a massive physical statement. Although England surged into an early 12-0 lead, the Boks drew a line in the sand with a monstrous lineout drive around the quarter-hour mark. From there, the Springboks never looked back, scoring 23 unanswered points to claim a series win with one game to spare. 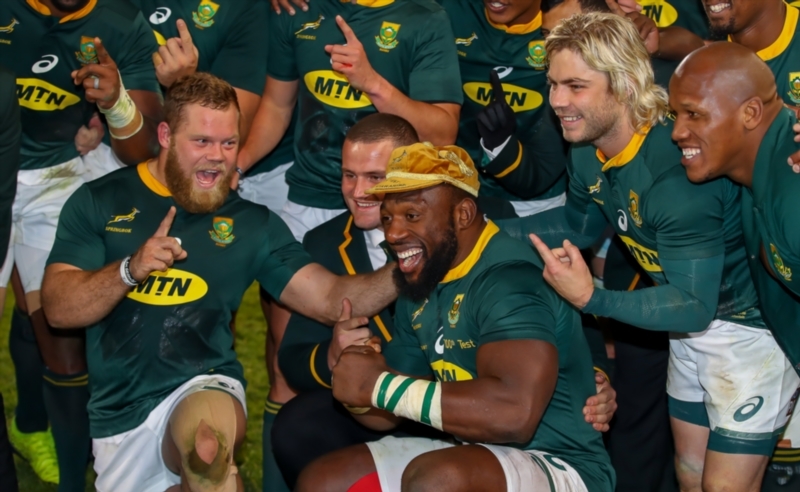 England may have won the odd battle, but the Boks won the war, while ensuring that Beast Mtawarira could celebrate his 100th-Test milestone in fine fashion. Both on and off the field, Vermeulen has had a massive influence since linking up with the Springboks. Besides offering leadership and guidance, he has also displayed beyond doubt that he is still one of the most impactful Test players. Now 31 years old, Vermeulen still looked to be at the peak of his powers on Saturday as he produced one of his most memorable Bok performances to deservedly claim the Man of the Match award. Bok captain Siya Kolisi and a number of his teammates have regularly commended Vermeulen for his calming influence on the field when the side has come under pressure, while the burly No 8 is effectively viewed as the team’s second-in-command. 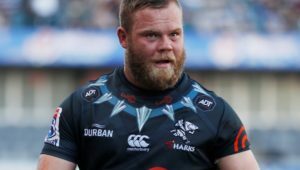 Vermeulen is expected to spend a stint in Japan later this year, but SA Rugby must do whatever it takes to permanently secure his services for the 2019 World Cup year. 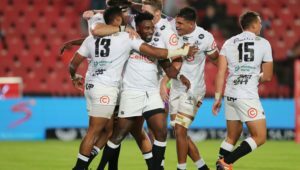 In the aftermath of Saturday’s win over England, Bok coach Rassie Erasmus said the team would now set their sights on securing a 3-0 series whitewash. However, he also made no secret of the fact that this ambition would be balanced with testing out some different players in pressure situations. 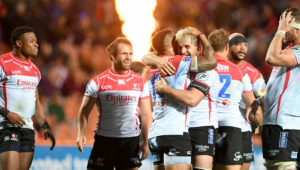 Considering that the Springboks have already wrapped up the series, they now have the opportunity to perhaps hand a starting opportunity to the likes of Warrick Gelant, Steven Kitshoff, Thomas du Toit and André Esterhuizen. At the start of this Test season, Erasmus has reiterated that they are leaving nothing to chance as they continue preparations for next year’s World Cup, and two impressive wins over England have now provided the breathing room to expedite the Boks’ aims of building their squad depth. The Test in Brisbane on Saturday saw Ireland claim a first win against the Wallabies in Australia since 1979. It was a most-deserved victory, built around the relentless phase-play of a determined Irish side, who were also gutsy and committed on defence. 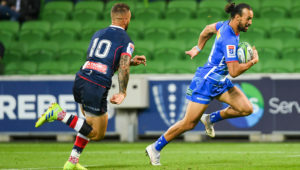 The return of Johnny Sexton particularly made all the difference, with the classy flyhalf dictating play with aplomb, and using the short pass to great effect. Sexton was also at the heart of an Ireland side that took the ball much flatter in the second Test, and put the Wallabies under irrepressible pressure. In the end, Ireland claimed a memorable 26-21 victory that sets up what should be a thrilling decider to conclude an enthralling series. However, it’s Ireland who have made a massive statement in the lead-up to the final clash, while ensuring they remain in second place in the world rankings. Unfortunately, the first Test between the All Blacks and Les Blues was blighted by a controversial yellow card to French lock Paul Gabrillagues, which effectively swung the match in favour of New Zealand. This past Saturday, France again found themselves fighting a losing battle when fullback Benjamin Fall was red-carded in the 12th minute for taking Beauden Barrett out in the air. Although it can be argued that it was the correct decision according to the letter of the law, Fall was also put in a compromising position when he was bumped by All Blacks centre Anton Lienert-Brown as he moved towards Barrett. Ultimately, it ruined the match as a contest, with France having looked extremely competitive up to that point. While one would have always expected the All Blacks to claim series honours, their cause has undoubtedly been helped by the cards dished out to French players in both Tests to date.